Wild players were upset and utterly confused as to how they were unable to win a favorable match-up. The Wild outplayed the Blues for the majority of the series, outshooting and out-chancing them in every game. Yet, the Blues were able to lean on Jake Allen and hold the Wild to just eight goals in five games. The Wild have made the playoffs in five consecutive years. In that time, they have failed to make it past the second round and have lost 12 of their past 15 postseason games. During this five-year stretch, the Wild have had the same core group of players in Zach Parise, Mikko Koivu, Jason Zucker, Charlie Coyle, Jared Spurgeon, Marco Scandella and Ryan Suter. For the past four years, the Wild have also had Jason Pominville, Erik Haula, Mikael Granlund and Nino Niederreiter. That’s 11 players that have stayed together and yet have failed to produce anything better than a second-round exit. Whether Wild management wants to admit it or not, changes need to be made. This is a good team. They showed it throughout the regular season, but when you’ve gone as long as the Wild have without any real success, you have to take a real look at your team and figure out if a shakeup is necessary. The team had tremendous seasons from Granlund and Niederreiter. They both thrived under new head coach Bruce Boudreau. However, both players are up for contract extensions and could demand a good amount of money. The Wild will roughly have about $11 million in cap space. What Chuck Fletcher needs to figure out is if they are both deserving of long-term deals or not. Haula is set to be a free agent as well. These three are the only core players the Wild can walk away from if they want to. Out of those three, Haula is the only one who likely won’t be re-signed. So what else can the Wild do to shake up this core group of players? Should they move prospects for an elite player? Should Mikko Koivu be stripped of his captaincy? With the Expansion Draft looming, the Wild could lose a guy like Jason Zucker, Marco Scandella or Matt Dumba. This could provide a bit of a shakeup to the Wild’s core and be beneficial depending on who they lose. It seems more than likely that the Wild will lose a defenseman to Vegas. The Wild may also look to trade veteran Pominville. He has scored just 24 goals in the past two seasons combined. It will be tough to find a team who will take a 34-year-old with a $5.6 million cap hit, but it isn’t impossible. One of the biggest things that hurt the Wild down the stretch was goaltending. Backup Darcey Kuemper put up terrible numbers in his limited playing time. This forced Boudreau to go with Dubnyk more than he would have liked. I think this led to Dubnyk becoming fatigued, thus causing his numbers to slide in March and April. Kuemper is a free agent this year and is most likely not going to be re-signed. Alex Stalock looked good in his short time with the Wild, but will likely be the starter for the Iowa Wild next year. 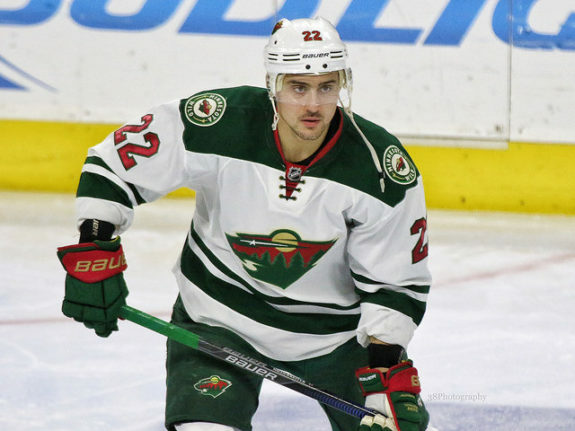 The Wild will likely look at the free agent market to find a backup. Ryan Miller and Ben Bishop would be solid options but could prove to be too expensive. 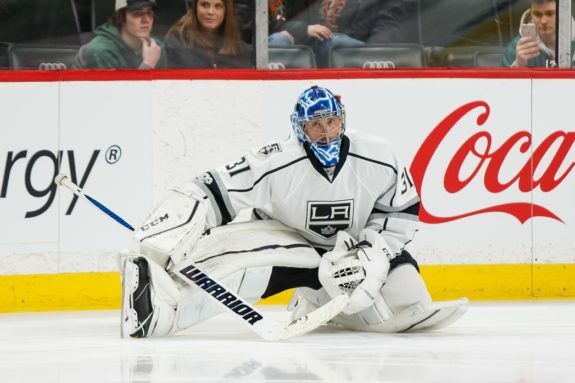 Peter Budaj, who played great for LA, would be a great option at an affordable price. It will be an interesting offseason for GM Chuck Fletcher and staff. The team possesses talent but has failed to produce when it matters. I don’t expect a major shakeup, but there should be changes. The Wild have the potential to take big leaps next year. They have some talented prospects who will likely make the opening night lineup. A few simple fixes may be all it takes for the Wild to take that next step. Fletcher will address the media tomorrow and hopefully assure fans that changes are coming.